North Carolina Dance Festival, October and November. Presenting the Billions/Mockingbird excerpt of Qué gringa, que gringa. Locations and dates TBA. Artist-in-Residence with The Commons (Carolina Performing Arts) for May 2019. Megan will be developing and presenting a new excerpt of Qué gringa, que gringa. From The Commons website: “Three artist/artist groups were selected from a competitive pool of applicants; selections were made by CPA staff based on input from a panel of UNC and non-UNC artists and locally-based arts administrators. Each selected artist/group uses performance in a unique way to forge connections between audience members and performer(s), and to pose pressing questions about the role of art and community-building in the Triangle region.” Stipend, embedded journalists and production support are provided. Performances occur during May 30-June 1 during The Commons Festival. Celebration of visual artist Elizabeth Allen’s installation “The Enemy of Truth“ at the Turchin Center for Visual Arts at the invitation of Caitlyn Swett and Blakeny Bullock. May 6, Appalachian State University, Boone, NC. Art+Architecture Opening Reception for installation artist Calvin Brett at the invitation of Caitlyn Swett and Perkins + Will architecture firm. March 15, Durham, NC. American Dance Festival, Marketing and Audience Services Assistant. In this role, Megan coordinates the festival’s box offices and merchandise as well as supports the Director of Communications and Marketing. PROMPTS, presented by Justin Tornow @ The Carrack (Durham, NC) in February, premiering a new excerpt of Qué gringa, que gringa titled Llorona. Durham Dance Lab teaching a NEW class for professional dancers called Collective Spontaneous Composition on Friday, November 16 from 10-12p at Ninth Street Dance Studio. Please see the TEACHING page for more info. Choreographer-in-Residence and Guest Teacher with Erin Bailey and Amanda Lang, of Columbia College. Choreographer to set a new, commissioned solo titled Impatiens in Columbia, South Carolina the last two weekends of October. 5th Annual Columbia Dance and Improv Festival, Columbia, SC, October 26 and 27, teaching Collective Spontaneous Composition. Tenth anniversary, Texas Dance Improvisation Festival, October 11-13, Denton, Texas. Choreographer/performer presenting work-in-progress, Qué gringa, que gringa. American Dance Festival, Performances Coordinator. In this role, Megan petitions for artist visas, facilitates all summer companies’ needs including visa petitions, travel and lodging logistics, teaching and performance commitment logistics and lots and lots of driving along with oversight of an intern staff of two budding, intern arts administrators and three work study assistants. American Dance Festival Scripps Studio teaching creative movement for toddlers, youth introductory technique and substituting adult contemporary classes. 2017-present. Developmental Somatic Psychotherapy with Ruella Frank in Columbus, Ohio. Completed a weekend of introductory training. Ten Tiny Dances, Megan and her partner, Megan Davis Bushway presented their duet Yamabiko at the 400 West Rich space in Columbus, Ohio. Guest Artist fall 2016 semester at Ohio University teaching modern classes. Big River Dance Festival in Huntington, West Virginia. Megan traveled with co-creater and -performer, Megan Davis Bushway to present their duet hold the line. 2015 Texas Dance Improvisation Festival, hosted by her alma mater, Texas Woman’s University in Denton, Texas. She had the honor of jamming, teaching and performing with choreographer Bethany Nelson (MS), and dancers Christie Nelson (TX), and Melissa Sanderson (TX). A huge thank you to the Greater Columbus Arts Council for funding to participate in this opportunity. Performing Artist Travel Grant Recipient! Megan was awarded a grant by the Greater Columbus Arts Council that covers the cost of her travel and visa to the Bayimba Multi Arts Festival in Kampala, Uganda in September. A huge thanks to the Greater Columbus Arts Council. Bayimba Multi Arts Festival in Kampala, Uganda, September 2015, presenting commissioned solo work, Narcissus’ Pomegranate, choreographed by Christie Bondade. Visiting Assistant Professor at Denison University teaching modern/post-modern classes for the spring 2015 semester. Supplies Grant Recipient! Megan was awarded another grant. This award facilitated the purchase of the new version of Isadora software. This software will be used to complete a dance for film and initiate new projects that include motion-capture. A huge thanks to the Greater Columbus Arts Council. Teaching Assistant with BalletMet Columbus beginning January. Megan is teaching the elements of dance to 2nd graders in the Moving into Literacy program. 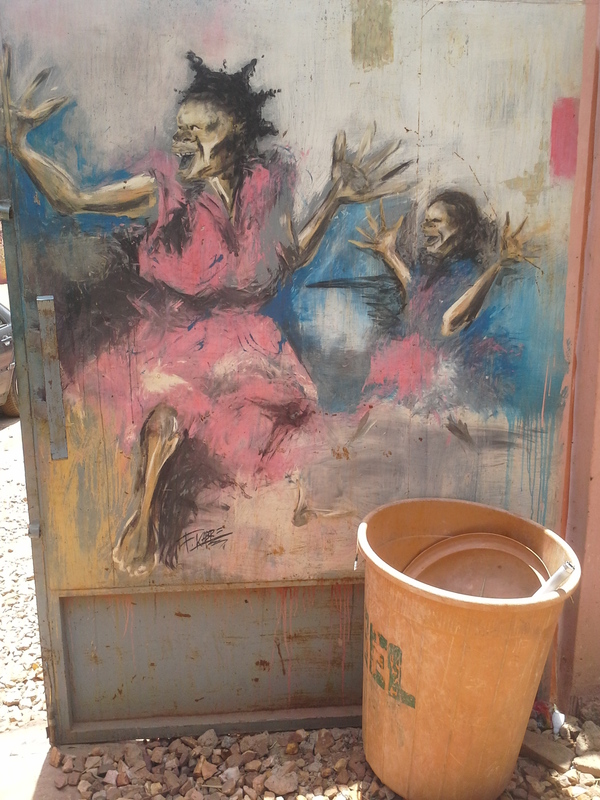 Mural on the gates of our residence, Napam Beogo in Ouagadougou, Burkina Faso, June 2014. Professional Development Grant Recipient! This award covered the cost of tuition, travel, room and board to attend Irene Dowd’s week-long workshop presented by Movement Research in New York City. A huge thanks to the Greater Columbus Arts Council. Taking Place Dance Festival. Performer in Watching the Watching choreographed by Bebe Miller and Rashana Smith. Presented at the Short North Stage in Columbus, Ohio. Guest instructor for the first annual Ohio5 Dance Festival at Oberlin College in Oberlin, Ohio. 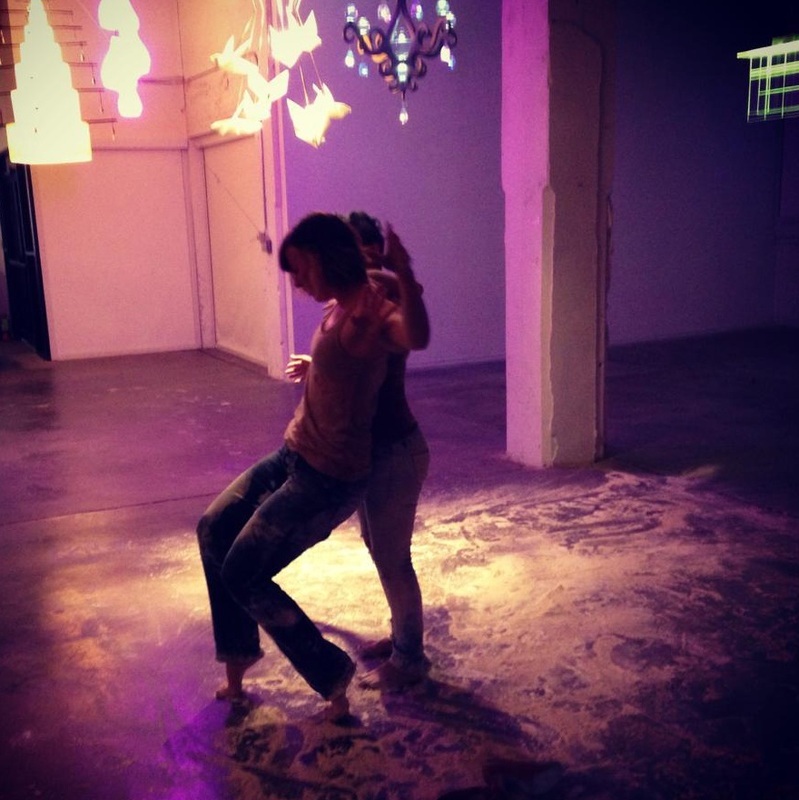 Class: Collaborative Methods for Dance and Music Improvisation. Nomad Express Multi Arts Festival. Performer in I Am in Relation to You choreographed by Sandra Mathern-Smith. Presented in Ouagadougou, Burkina Faso, West Africa. Megan and Christie Nelson in “Storied Sessions: Dust of Oz” for eMerge Dance Festival in Tulsa, OK. Guest instructor in the dance department at the University of North Texas in Denton, Texas. Class: Improvisation as a Tool for Performance. A Night with Bobby McFerrin. Improvisational performer in concert with master musician, Bobby McFerrin. Mr. McFerrin called regularly and randomly to perform with his improvised singing. Presented as a part of the Vail Performing Arts Series at Denison University in Granville, Ohio. eMerge Dance Festival. Performer/co-choreographer of Storied Sessions: Dust of Oz. Performed along with collaborators Christie Nelson (dance), John Osburn (sound design) and Scott Cazan (sound design) in Tulsa, Oklahoma. Texas Dance Improvisation Festival. Performer/choreographer of Tandem Repeats in collaboration with sound designer, John Osburn. Presented at Texas State University in San Marcos, Texas. Elsewhere Studios. Artist-in-residence in Paonia, Colorado. Elevation Art Series Opening. Performer/choreographer in an evening length, improvised performance with sound designer, John Osburn in culmination of a month-long residency in Elsewhere Studios Residency Program. Presented at the Blue Sage Center for the Arts in Paonia, Colorado. Movement Intensive in Composition and Improvisation. Performer/choreographer of I Can Only Save You Once, presented at Franklin & Marshall College in Lancaster, Pennsylvania. 2012-2013: American College Dance Festival. Performer in Configure Script by Jordan Fuchs. Presented in Denton, Texas and San Marcos, Texas. 254 Dance Festival. Performer in I Before You choreographed in collaboration with Christie Nelson. Texas Dance Improvisation Festival. Performer in Pain(s)taking by Bethany Nelson. Presented at Texas Christian University in Fort Worth, Texas. cover|un|cover. Co-producer/stage manager of MFA Professional Portfolio concert. Choreographer of entitled Waste Not, Want Not and Whatnot presented in the Studio Theater at Texas Woman’s University in Denton, Texas. Performer in I Wasn’t Afraid of Being Alone I Just Hated It, choreographed by Amii LeGendre and presented in the Studio Theater at Texas Woman’s University. DanceMakers at Texas Woman’s University. Choreographer/performer of Myself in 2008, When I Dreamt I Found a Fabulous Pair of Shoes while Examining Dead Plants in an Abandoned Greenhouse and Yun-Fat Chow Touched Me Lovingly on the Face. Presented at the Margo Jones Performance Hall in Denton, Texas. Pedestrial Acts. Performer in entire city-wide installation event. Choreographer/performer in let go, presented in St. Anne’s Cathedral in Belfast, Northern Ireland. American College Dance Festival. 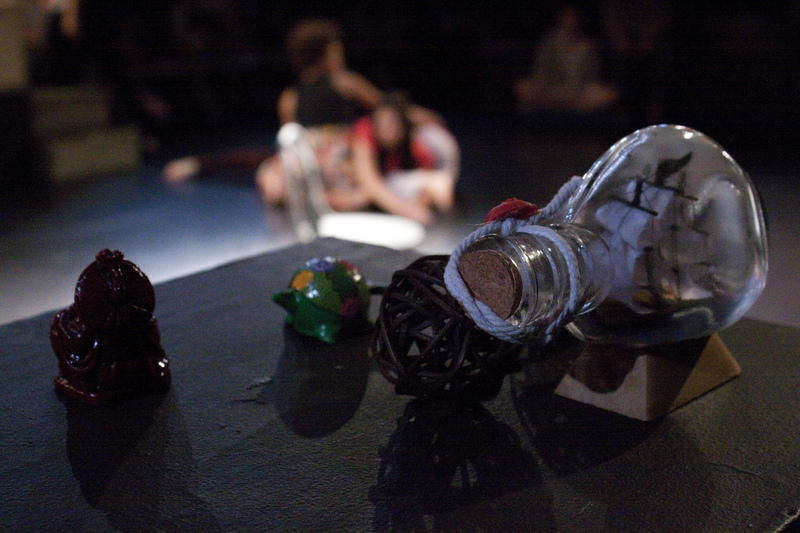 Performer in Under by Sarah Gamblin. Presented in Laredo, Texas. Gallery Opening for Libba Sandusky Davis. Performer in Twins choreographed by Christie Nelson. Presented in Dallas, Texas. Textinction. Curator, performer and choreographer for concert presented by multidisciplinary arts group, TexGallery. Presented in Denton, Texas. Dance Up Close at Texas Woman’s University. Choreographer of taut, presented in the Studio Theater at TWU in Denton, Texas. inradius. Performer/choreographer in multidisciplinary event that included dancers, sound designers, visual and media artists. Presented at Rubber Gloves Rehearsal Studios in Denton, Texas. Enough Room. Performer in various scenes of this multidisciplinary showcase by John Osburn. Presented at the Greater Denton Arts Council in Denton, Texas. Fresno Fringe Festival. Performer in Step of Two, choreographed by Amy Querin, artistic director of FresNO Dance COllective. Presented at the Fresno Studio Theater in Fresno, California. 2009: vulner(ability). Solo performer/choreographer in Valentine’s Day themed concert. Presented at the West Valley College Theater in Saratoga, California. 2007: Fraulein Maria. Performer in Doug Elkin’s thesis performance at the American Dance Festitval. Presented in Durham, North Carolina. 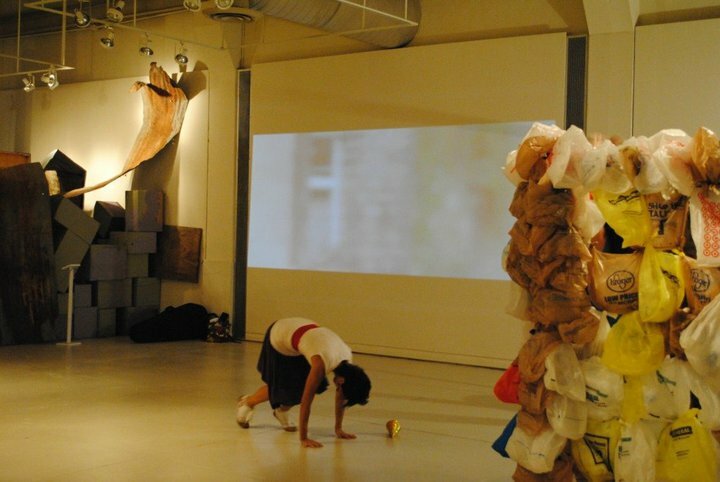 2007: Pollenate Performance Series with the Kinesthetic Artists Collective. Performer/choreographer of Improvised Shorts. Presented at Dan’s Silver Leaf in Denton, Texas. 2005-2007: UltraXtra ArtsMix Performance Series. Performer in Lo and Behold by Michael Foley (with permission from Mary Williford-Shade) and Bend/Pop by Sarah Gamblin. Presented at the Greater Denton Arts Council in Denton, Texas. 2005: The Marfa Project. Artist-in-residence in Marfa, West Texas.